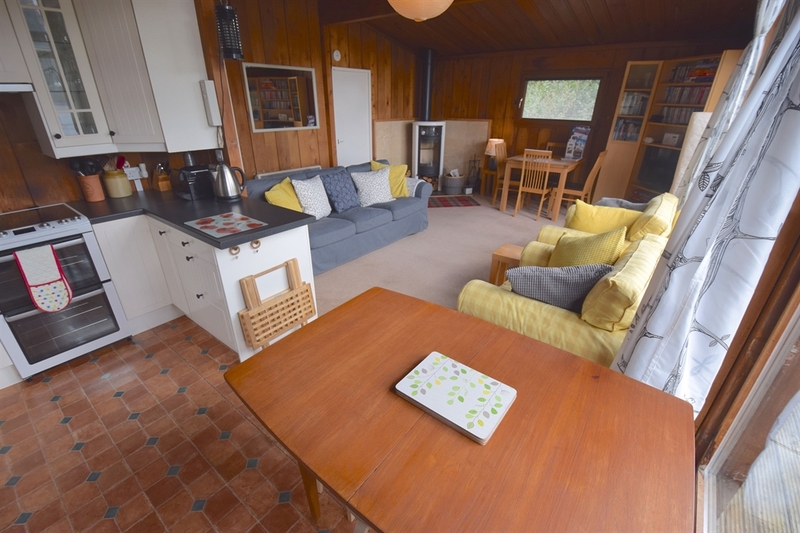 Read the reviews - Dalriada is a much loved holiday home. Turn up, switch off, re-charge. 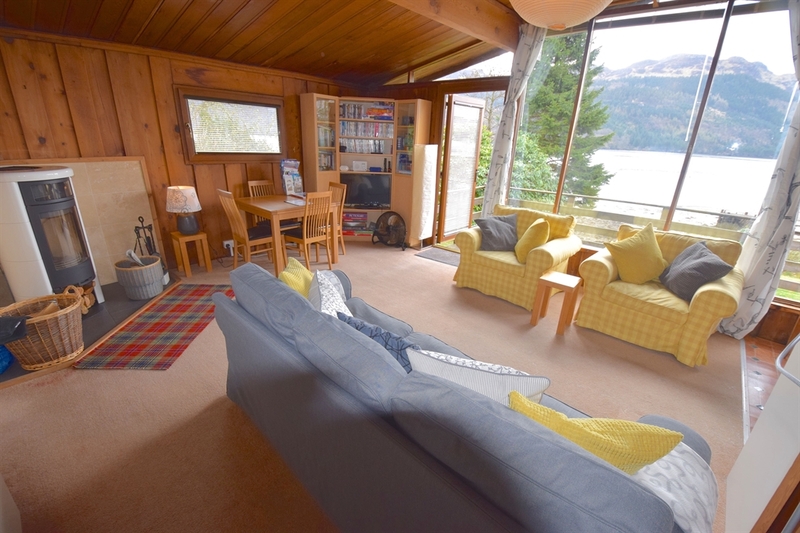 A wonderfully refreshing cabin-in-the-woods type holiday on the shores of Loch Goil in the Loch Lomond National Park. Bliss. 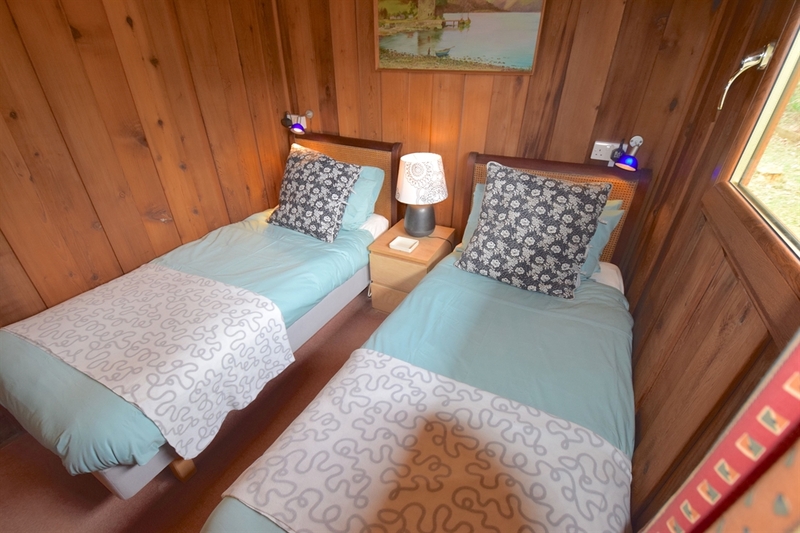 Dalriada is a much loved holiday home. Turn up, switch off, re-charge. 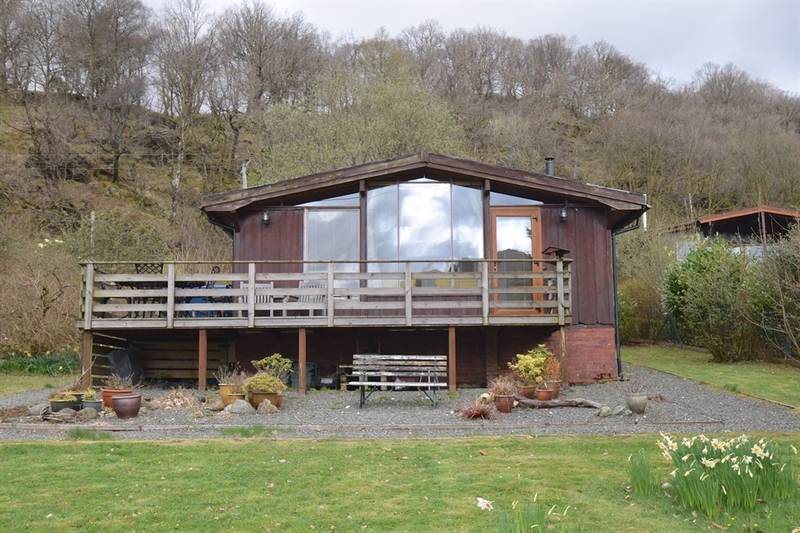 A wonderfully refreshing cabin-in-the-woods type holiday on the shores of Loch Goil in the Loch Lomond National Park. Bliss. 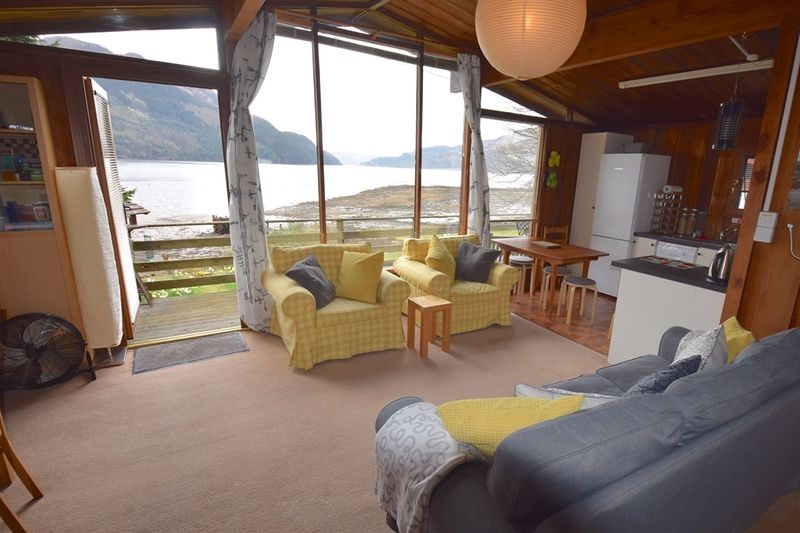 A cedar wood chalet holiday home located between the villages of Lochgoilhead and Carrick Castle on the west side of Loch Goil. 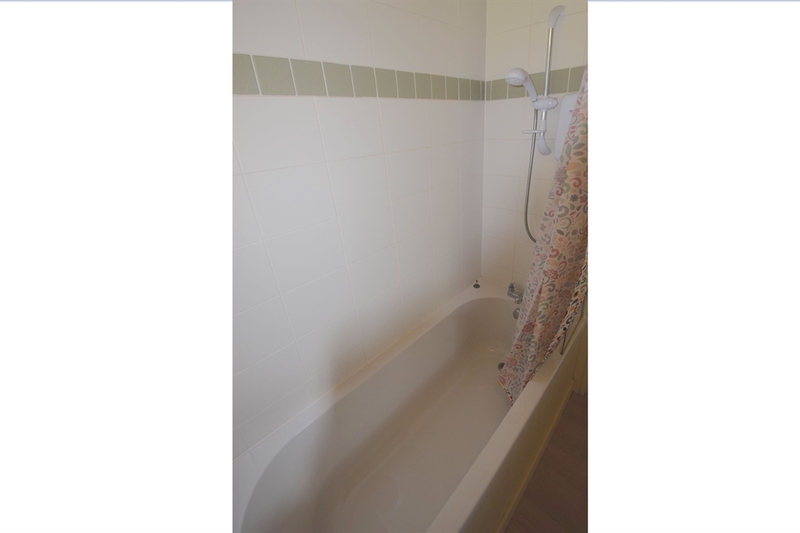 The entrance is shared with another property which is only occasionally occupied by the owners. 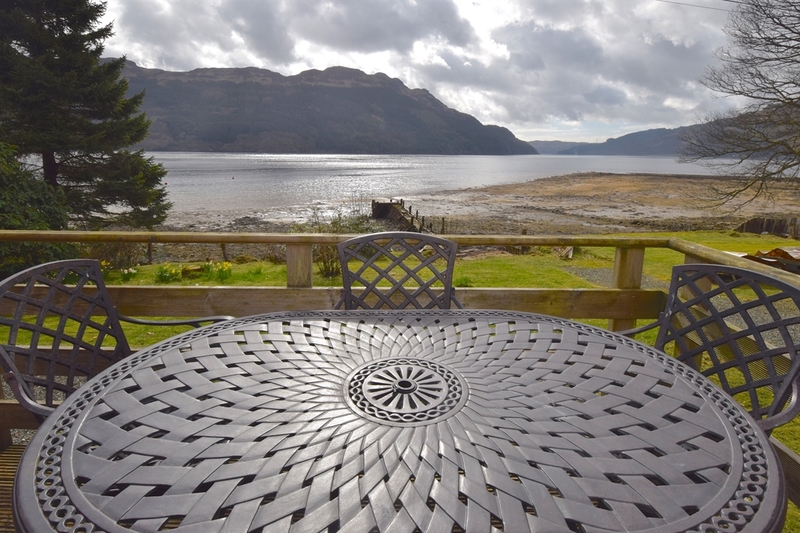 Step out of the chalet and you are right on the shores of this scenic tidal sea loch. Bring your binoculars. Depending on the time of year the gannets put on a marvellous display diving for fish and you can look out for seals, which are common. Porpoises are regular visitors and there has been sightings of Otter’s on the shoreline this year (2014). No matter what, you’re in a perfect spot to look out for them. 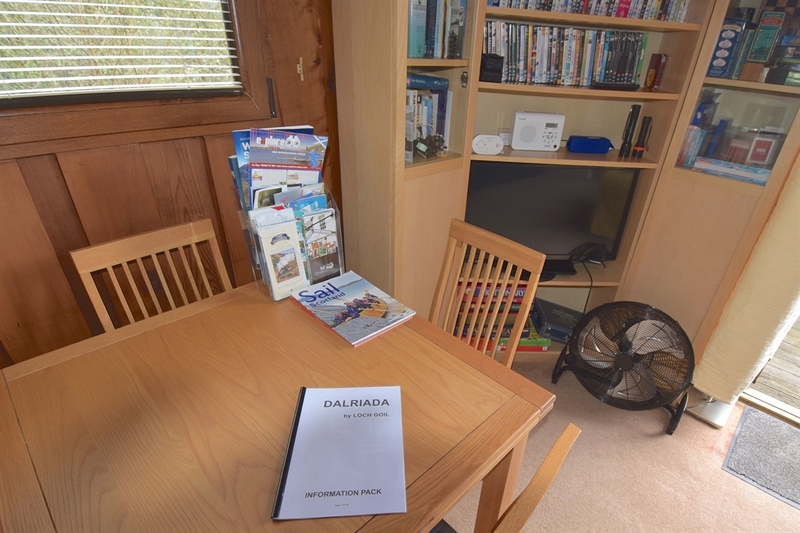 Dalriada will be appreciated by visitors looking for a comfortable, modest base to relax in a rural west coast setting. 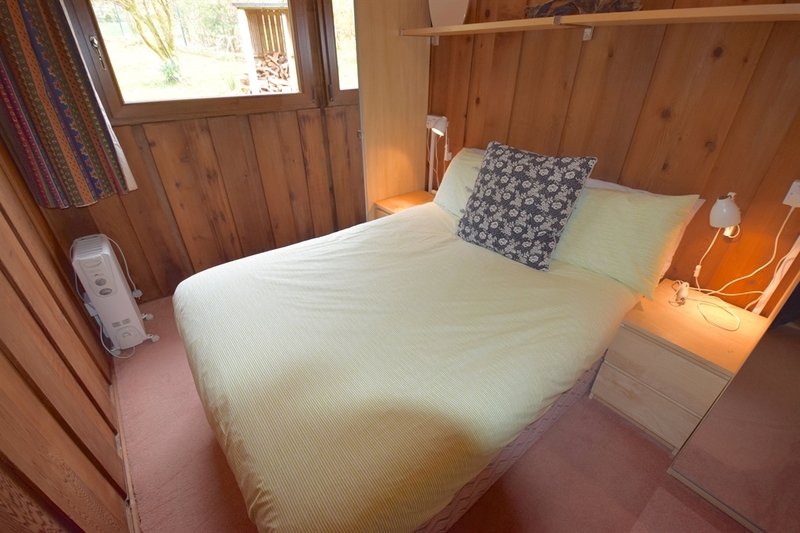 This is a holiday property where you truly come to switch off. 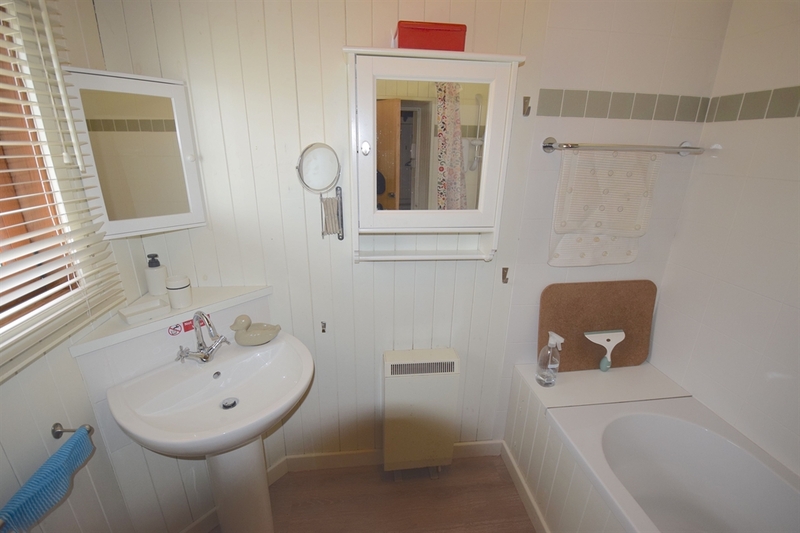 The standard of furnishing and fittings are in keeping with a chalet type property. Simple but functional. Outside there is an enclosed balcony patio area suitable for a pet. Outdoor seating for 2. Bird feeders placed so you can enjoy the visitors from the lounge area. Dalriada is all about the views. 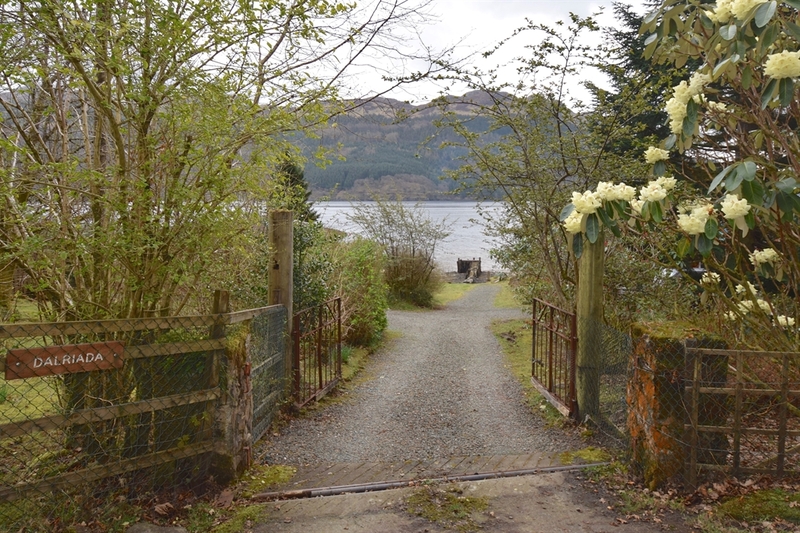 This is the place to sit and watch boat traffic on the loch, as well as look out for the birds and animals. 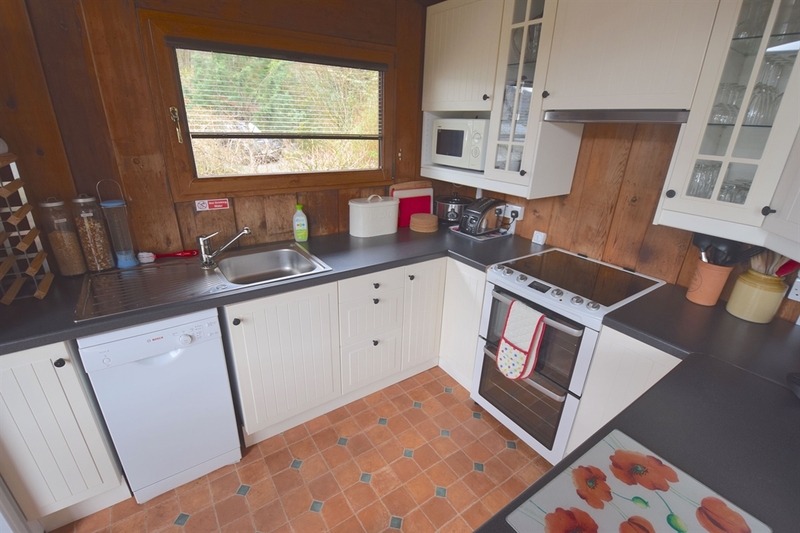 The enclosed balcony is ideal for sitting out and enjoying the view at the same time as keeping an eye on your dog. Vodafone is the local mobile provider. There is no Wi-Fi at the property. FREE Wi-Fi is available at the Drimsynie Leisure Centre 3 miles away. 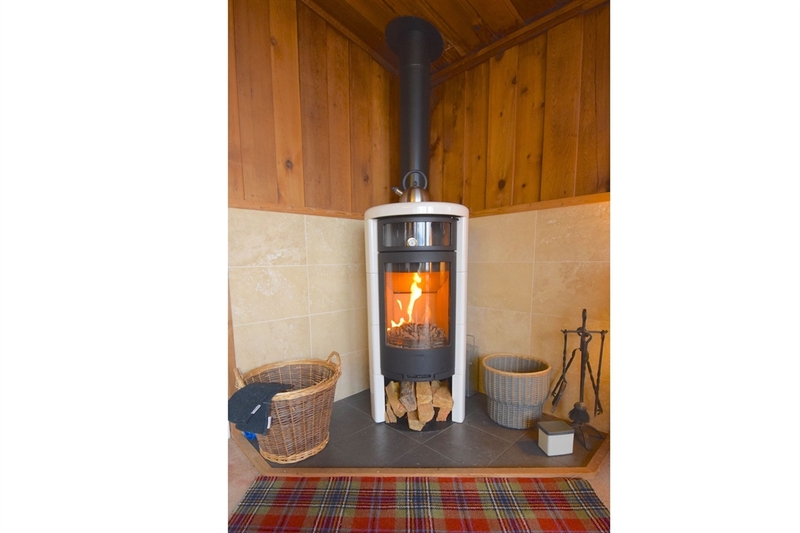 Dalriada is a place for switching off, not logging on. The water supply is straight out of the hills, so it is not drinking water. The owner provides 8 litres of bottled water to get guests going. You then replenish after that from the nearest Costcutter store – 3 miles.